Lamp Shade Holder. 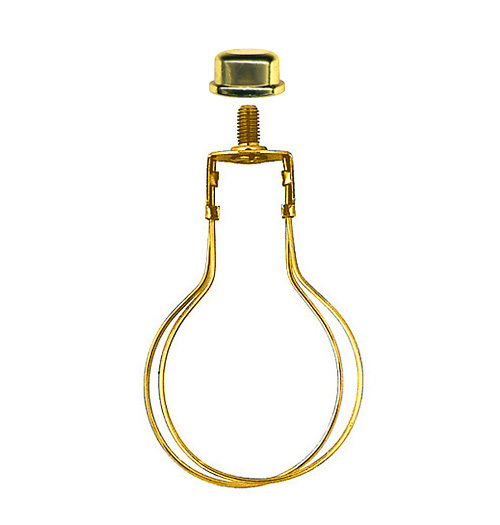 Clips over round light bulbs. Eliminates need for a harp. Threaded for 1/4-27 finials. 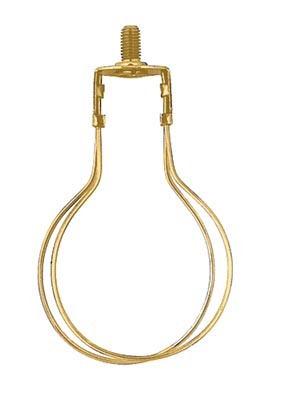 3-1/2"H. Bright brass plated. 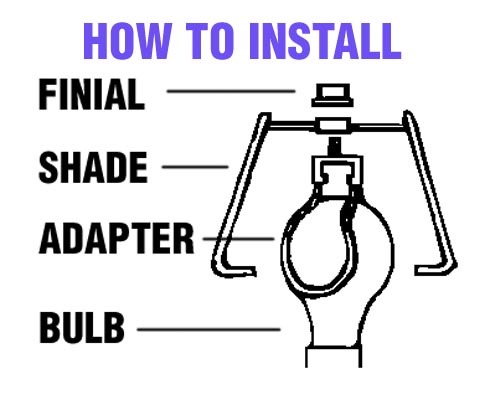 Attach your shade to adapter. Lamp Shade Holder with Finial. Brass plate cast metal finial is 1/2"H x 11/16"W ad tapped 1/4-27.